In this page, we are pleased to present a selection of books for sale on antique prints. Below, you will find a listing of books on prints - ranging from some classics to some we hope you might not have thought of as relevant to print collecting. We cannot promise that you will not find a copy cheaper through ABE Books, but we can promise you that each title has been carefully considered by us for its relevance to print collecting or information, AND that these books are all in good, clean condition. buying books The price is shown, but to these we have to add post and packing. So, please email us to reserve a book, and we will straightaway email you back advising on the P&P costs. UK sales - we can accept Cheque, Cash or PayPal payment. On our purchase of prints page, click on the PayPal link, and just put brief details of the book - it will already be reserved for you. All other countries - Cash or PayPal only. Sorry, it is too expensive to accept cheques. A book all collectors of English topographic prints should have to hand. Although not long, Russell packs a great deal of information into the text. 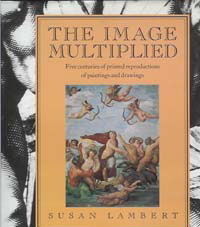 Separate chapters describe prints in engraving, aquatint etc. There are a good number of illustrations, although all in black and white, and with rather a grey quality. There are very useful lists at the end of engravers and artists etc. The catalogue to the exhibition of the same name, held at the BM. Nevertheless, a very valuable source of information – the earliest print is from 1748, the latest 1832. The book covers history prints, portraits, topographic etc. It is largely structured according to place, eg Berlin, Vienna, German printmakers in Italy, within this there are descriptions of the major individual printmakers. A remarkably thorough account of the time Audubon spent in Edinburgh – he travelled to Britain in 1826 to look for help in publishing his bird paintings. He spent three years in Edinburgh, spread over several visits. His first plates were actually prepared there. Although specialist, this is also of general interest to the print collector, as there is a great deal of background information. This book starts with a very good definition of ephemera – any printed or hand-written item normally discarded after its intended use. While printed ephemera attracts its own devotees, it is definitely related to prints, and there is much here of interest to the print collector. This book covers the whole field in time and location, but there is good material on the Georgian period. 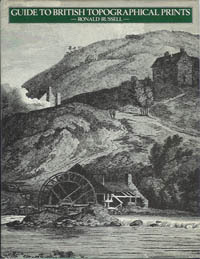 One of the classic books for the collector of prints, Tooley lists 517 volumes in ‘A Biographical Account of the most Important Books illustrated by English Artists in Colour Aquatint and Colour Lithography.’ Each entry provides the title and publishing details, a short description, then a list of the included plates. Books are listed by artist, printmaker or author, so it can take a while to find an item. The dustcover is a little worn, but otherwise a good clean copy. 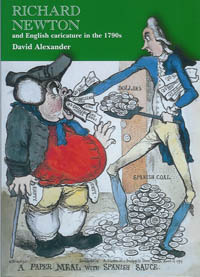 A study of the political cartoons of the mid C18 and their influence on society. The viciousness of many of these prints continues to astonish. Indeed, it seems to have been rather a ‘dodgy’ business to be in – there was a very fine line between being acceptable and being locked up! A standard work needed by any collector with an interest in these prints. A first edition of one of the great classic books of the print collecting field. The work covers five centuries and the whole of Europe, perhaps with a slight tendency to focus of the earlier printmakers. Due to its scope, the entries on each artist/printmaker tend to be quite short, but the whole gives a grand overview. The text takes up just 339 pages, the last 134 pages being taken up with extensive and invaluable lists of printmakers from each country etc. The book was reprinted three times within its first 20 years, and more recently in the Dover edition (which reproduces the third 1923 edition), but if you want a first edition, here it is . . . The copy is a bit worn, a little grubby and has some foxing on the front and rear fly pages. It is stamped on the title page ‘Presentation Copy’. But it is nearly a 100 years old. A splendid book of a splendid collection. 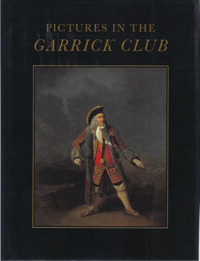 While not strictly a print book, anyone interested in C18 portraiture should have this on their shelves. The extraordinary collection of paintings and sculpture records British theatrical history through more than 1,000 paintings, drawings and sculptures. The greatest strength is from the late Georgian period of 1760 to 1830. There is a short chapter on theatrical prints, although strangely there are no prints illustrated! The dustcover is slightly rubbed, but otherwise in VG condition. The catalogue of an exhibition of the same name, held at the BM. There is an introduction, followed by chapters on various themes, such as satires, portraiture and architecture. Each of these chapters has an introduction, followed by a description of the relevant prints. While rather early for us, this book provides a valuable background. A good modern standard work. 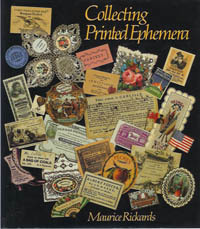 The book covers the whole field of English printmaking, through from mediaeval to modern times. The chapters are a slightly odd mix of date and thematic, but there is much of interest. There is a useful glossary of technical terms and a bibliography (up to c1980). At first sight, perhaps not a title that the print collector would consider, but if you have an interest in topography, this is an invaluable reference work both to places and types of prints. It has been printed in colour throughout, and many of the illustrations seem to show contemporary colour. It takes us round the world, but many prints are of the UK. All the illustrations are drawn from the National Maritime Museum collections. For anyone interested in topography / railways / transportation, this is another invaluable reference book. 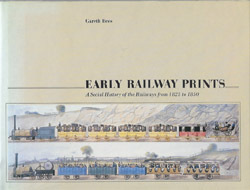 Generously illustrated mostly with lithographs, there are detailed descriptions of each print. There is a good introduction, but while the source of each print is given, a consolidated list of publications would have been of value. Small tear and some spine fading to dustcover. A splendid collection of coloured aquatints from the late Georgian period. For the collector of topographic prints, this is a most valuable book, and a good complement to Tooley. The plates section is themed by location and contains 43 very good colour illustrations. Where these are drawn from books, the source is noted. The good introduction has about 12 illustrations, strangely mostly in B&W. Standard work by the eminent Professor of Art History. This takes us chapter and verse through the whole of Turner’s output of prints, from the early remarkably conventional prints, through the Liber Studiorum to the later mezzotints. The Liber Studiorum prints are reproduced in sepia, as per the original prints. A comprehensive work, with a complete listing of Turner’s prints at the end. A very useful general history of European printmaking. It is themed by aspects of prints, rather than country or chronology. As such, illustrations can be oddly juxtaposed. There is a strong focus on the European dimension, with Durer, Goya and Rembrandt for example taking up c.50 of the illustrations. Some good background material, but perhaps a little marginal to the collector of English prints. A first edition of this classic/standard work – magisterial is we believe the expression. Dorothy George compiled the latter part of the British Museum catalogue of caricatures, and this work stemmed from that. The book follows a chronological format, running through the age of Hogarth, George III and the Regency. The colour of the colour illustrations seems a bit too intense – too good to be true, but apart from that no complaints. There is a very compact index of artists mentioned in the text. A superb record of Dutch etching from the C17. Arranged by artist, some 46 artists are represented, from Rembrandt to many we are afraid we have never heard of. The reproductions are very good, and a particularly interesting feature of the book is that almost all illustrations are reproduced at the actual size of the original etching. An essential work for the Rembrandt scholar, reproducing all known etchings. Especially interesting, as it reproduces the prints at the true scale. Some 15 prints too large for the book’s pages are reproduced separately on loose sheets. These are all present. A fascinating reproduction of the earliest independent work on the process of lithography in the English Language. With an introduction by Michael Twyman, author of the standard work on lithography, ‘Lithography 1800 – 1850’ OUP and related works. According to Twyman, some of Bankes’s technical detail may be a little shaky, but interesting for all that. Still a standard work after nearly a century, this is a facsimile copy by Foyle’s, the famous London bookseller. The text steps through the history and use of aquatint. Surprisingly readable for a work of this date, ie the sentences are not too long! It has numerous useful appendices, especially of books illustrated with aquatints and artists with their principal publications. A record of the astonishingly prolific Newton, whom we would know better had he not died tragically young at the age of 21. A book by David Alexander, the renowned C18 print scholar and near neighbour of ours here in York UK. A work of scholarship and a model of arrangement (eg a numbered list of illustrations), it contains a complete listing of Newton’s prints. Anyone with an interest in caricature should have a copy of this. To purchase any book, just email us at info@georgianprints.co.uk, we will reserve it and advise of post and packing costs.